This is a heavy, leather-bound album, with thick cardstock pages and lustre-finish photographic prints. It has that substantial feeling that you would expect a wedding photography album to have. But unlike traditional albums from years ago (the kind with matted individual prints on each page) that have fairly limited layout options, the contemporary Flush Mount Album has a much more modern look and a flexible layout method that greatly frees up my ability to compose images into spreads that are unconstrained in their ability to tell the story of your day. Images can be any size or cropped to whatever proportion is appropriate, and can span across the spread, as well as extend all the way to the edge of the page. A wide variety of cover colors are available, with dozens of different leather options to choose from, and animal-friendly material choices are available as well. 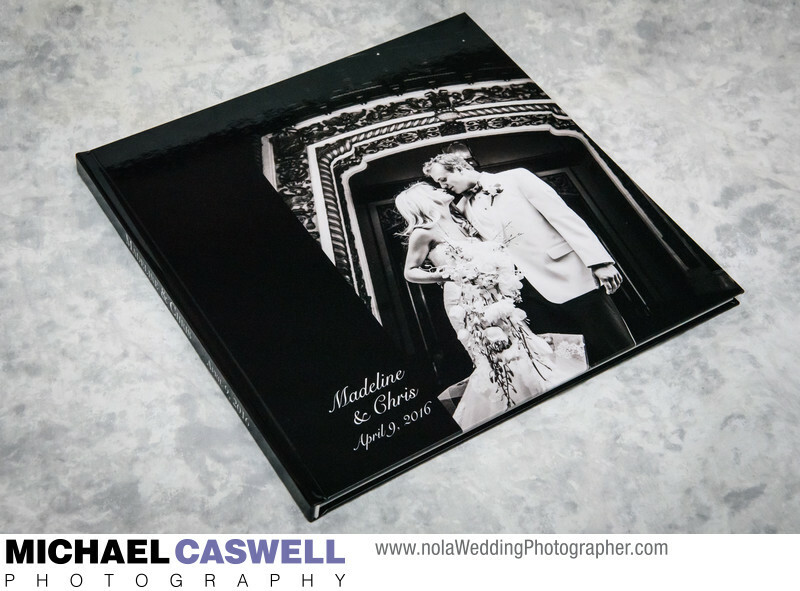 The Coffee Table Book is identical to the Flush Mount Album in terms of design and layout, but it has a completely different physical look and feel. It has a photographic hard cover, rather than leather, and the pages are thin, making the book itself much lighter and more compact. The pages, while thin, are laminated though, which greatly improves durability. This non-glare satin finish gives a very premium, luxurious feel to the pages, and helps prevent damage. 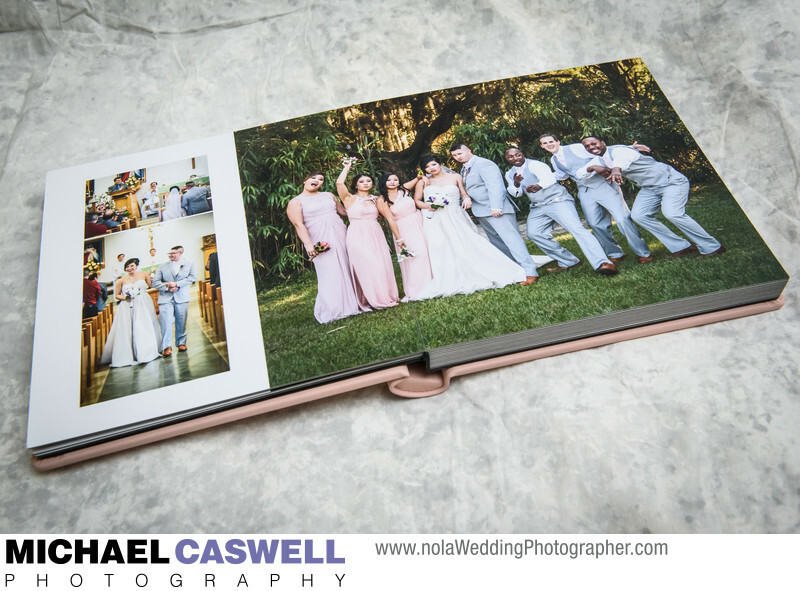 If the package you selected includes an album, once the editing of your photographs is complete (typically about a month after the wedding), I'll give you instructions for how to go about selecting the images you wish to be included in the album. Typically, for a 30 side album, I advise couples to pick about 50-60 images (no more than 70), or 70-80 (no more than 90) for a 40 side album. 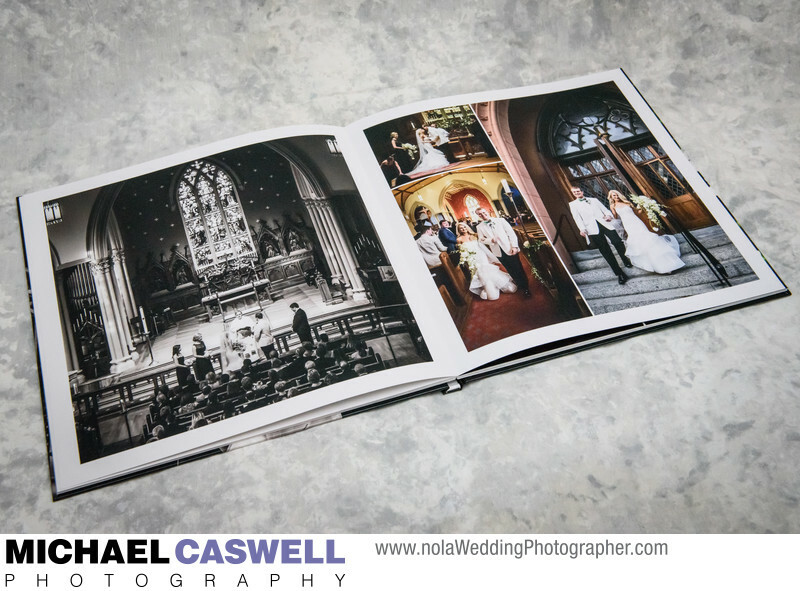 In some instances, couples find it difficult to narrow down their selections to a suitable number (too many wonderful photographs is a great problem to have!). If this is the case, additional spreads can be added for a modest charge, to accommodate a higher number of images. Note, I refer to "sides" of the album to clear up any confusion over page count, as some might think that a 30 page album consists of 30 physical pages (each with a front and a back). A 30 side album will have 15 leaves (a "leaf" is the official term for a physical sheet in a book), each with a front and a back, yielding 30 pages, as you would think of numbered pages in a book. Once you give me your selections, I get to work designing the book, and typically after about two weeks I'll have a PDF of the design ready to show you. As a testimony to how much attention and care I put into the design process, almost all of my couples immediately approve their album with no changes. But if a few images need to be swapped or moved, or be made bigger or smaller, that's generally not a problem to do. Once the design is approved, it gets sent out for production, which takes about a month, at which time I receive the album and get it delivered to you! To be completely honest, when I first started out in the craft of wedding photography about 13 years ago, I didn't even bother offering albums initially. I began right around the time that the popularity of digital photography had eclipsed film for capturing events, and making a big, old-fashioned physical album of photos seemed an anachronism in this digital age. I didn't stop to consider why anyone would want an album when they had the digital files of all their wedding pictures, which they could view on their computer or other electronic device. But after being in business for a few years, I observed that more and more of my inquiries were actually asking about albums, which prompted me to add this option to my packages. 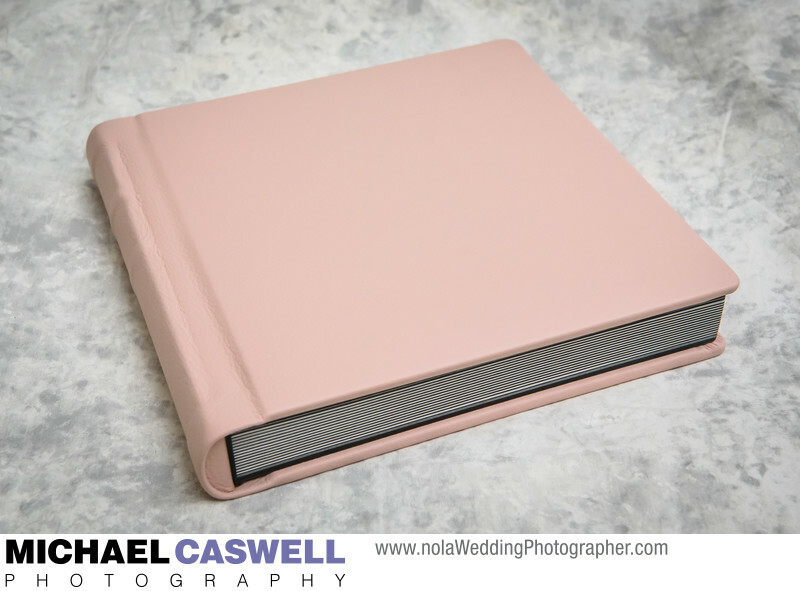 Soon thereafter, with the experience that came from having worked with several couples on designing their books, I started recognizing the importance of wedding albums. Today, about half of my wedding couples book an album package. The easiest way to think about an album is to use the analogy of videography. Most videographers provide some form of tastefully edited highlight wedding video, which contains all the most important and most memorable portions of the day, condensed down to a running time that can be viewed in one sitting and edited in such a way that provides a flowing context to what you are seeing. Most also separately provide the complete collection unedited footage, which is certainly nice to have. But which one do you think is going to get watched more often? The highlight video, of course. And, even more significantly, the highlight video is going to be much more enjoyable to watch, and will evoke more of an emotional response along with a more meaningful and complete remembrance of the day. That might sound a bit counterintuitive at first, since it would certainly be reasonable to think that the best way to remember the entire day is to watch the complete video footage of, well, the entire day. But an hour or so into that four or five hours of raw footage, you'd probably change your mind and want something that was more selectively edited! So, an album is the still photography equivalent of that highlight video. You'll find that as you flip from page to page, your mind fills in the spaces between and around the pictures you see. I encounter this effect all the time when editing my wedding images. Upon seeing a photograph or two of a particular memorable moment during the reception, I can remember details far beyond those that are represented within the visible image itself, because I was there and seeing the image triggers the recollection of those memories. And even for those who were not at the wedding (such as a friend or family member who could not make it there, or perhaps future generations), just like it might be too much to expect them to sit through hours and hours of unedited video footage, stepping through a thousand or so wedding pictures on a computer screen is equally as tedious (unless they truly want to look at each and every image). A beautiful album sitting out in the open in your home invites visitors to open it, and with 30-40 pages of specifically selected pictures it shows the essence of what your day was like without being overwhelming and exhausting to the viewer. And it's a physical, tangible heirloom that years from now you will enjoy having, and that future generations will also appreciate.